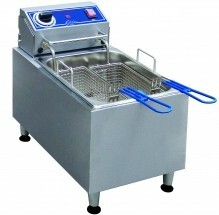 An electric countertop fryer is a fitting option for any small establishment that doesn’t need a full sized fryer. 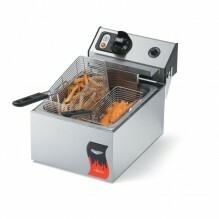 Add it to your kitchen or restaurant as a secondary fryer, to keep food separate! 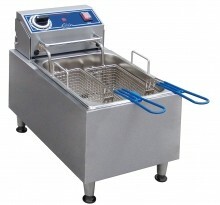 Whether you have a small café, bakery, restaurant, grocery store, or kitchen, an electric countertop fryer will fit almost anywhere, to make use of a small amount of unused counter space! Fry anything, from fries and onion rings to chicken wings!